In many disciplines journal impact factors or tradition and prestige hold significant weight when authors are selecting a journal to submit their research to. However coverage of LIS journals in impact indices like the JCR is patchy, and many (including open access titles) are relatively new and have had little time to acquire an imposing reputation. Moreover, the relatively high volume of practitioner research and traditionally strong links with the publications of professional organisations are further characteristics of the discipline. Which factors influence your decision when selecting a journal to submit your LIS research to? *Update* The survey is now closed - Many thanks to all those who participated. The results and analysis will be made available via the blog when completed. The survey contains four questions and should take less than five minutes to complete. All data received is completely anonymous and you don't need to enter any personal information. If you have not yet submitted any LIS research to a journal, but intend to or think you might at some point in the future, you can still complete the survey. There is a question in the survey where you can specify/clarify this. 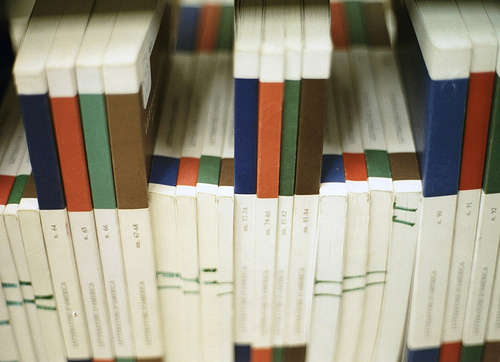 What constitutes a 'journal'? For the purposes of the study, a journal refers to any publication that publishes scholarship relating to a particular academic discipline or disciplines.Therefore this definition includes publications of professional organisations which may not necessarily be peer-reviewed or considered academic journals in the strictest sense (e.g. SCONUL Focus). Also, note that the study relates to LIS research rather than just LIS journals.